On Friday evening, Attorney General Jeff Sessions fired McCabe on the recommendation of FBI disciplinary officials. 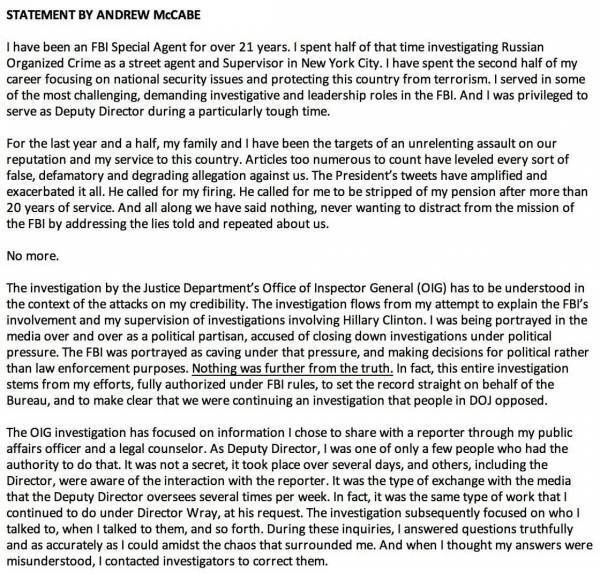 McCabe released a statement following the news of his termination. 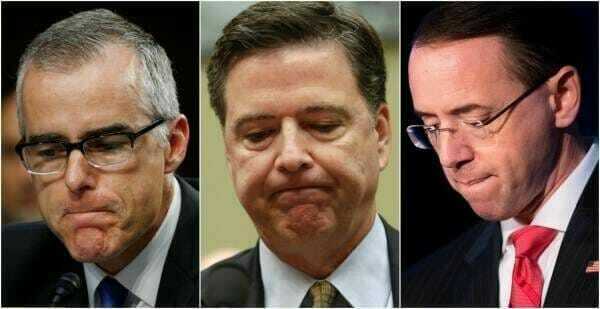 The disgraced ex-FBI official “claimed he was being singled out for what he witnessed in the aftermath of Trump’s firing of FBI Director James Comey,” reports Kristinn Taylor of The Gateway Pundit. 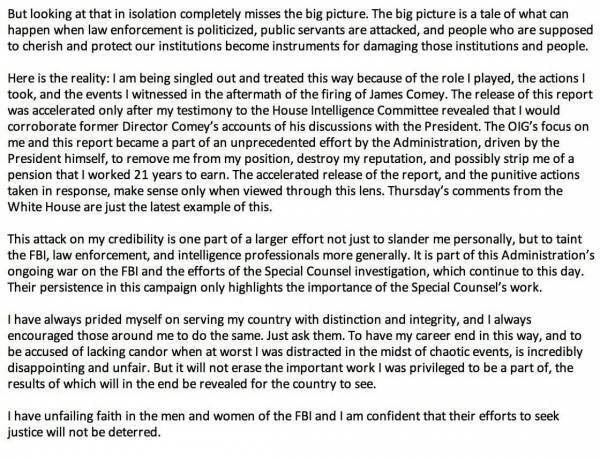 The post McCabe Speaks: I Pressured Rosenstein To Appoint Special Counsel After Comey Was Fired appeared first on The Gateway Pundit.